2:22:23 – Frank in NJ and NYC, plus the Other Side. Topics include: Cybernoctium, vaping, tobacco, immortals, cars driving by the bus stop on a rainy morning, Zoroastrianism, expensive and vague, Tangerine Dream – Destination Berlin (1989), musical rabbit holes, Grateful Dead, Lionsgate Entertainment City, Kind Heaven, indoor entertainment worlds, Nightstation, AE_LIVE series (Autechre Live), Boards of Canada, tulpas, Flea Devil Solitaire, noodles, PySol Soother solitaire, Boardwalk solitaire games (Hopscotch, Lucky Seven, Scotsi, Chesire), battery incident, Black Tigers playing cards, carpe diem, Seize the Day, Living Worlds, enlivens, Tori Amos B-Sides, Politaire.com, The Overnightscape Underground, and much more… plus the Other Side (at 1:42:15)… Yellow Frog Legs by Five Starcle Men [Archive.org, CC BY-NC-ND 4.0], Night Lights: How Retroreflectivity Makes Our Roads Safer (excerpts) [FedFlix, public domain], uchuu rider by ahlnold [Ubiktune, CC BY-NC-SA 3.0], Reading Is Fundamental (1973) [archive.org], Showbiz intro (1970s) [YouTube], Squabbling Gods by Globular [Ektoplazm, CC BY-NC-SA 3.0], Cherry Skies by The New Mystikal Troubadours [FreeMusicArchive, CC BY-NC-SA 3.0], Tournament Of Roses Parade (1974) (excerpt) [archive.org], Street Fighter II – Intro [MAME]. 1:25:31 – The conclusion of our two-part retrospective on Father Charles E. Coughlin, the radio priest who influenced many across America, Catholic and non-Catholic alike, through his weekly broadcasts from the Shrine of the Little Flower in Royal Oak, Michigan. Last time we examined some of his political views and his defense against charges of anti-Semitism. 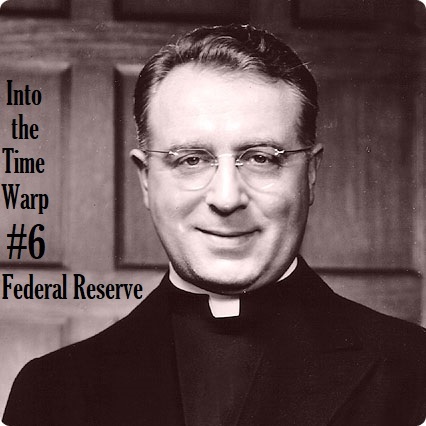 This time the emphasis shifts to his economic views on banking, money creation, and the Federal Reserve, based on two of his broadcasts from April of 1940, just before he was banned from the public airwaves. This show is licensed under a Creative Commons Attribution-NonCommercial-NoDerivs 3.0 Unported License. Attribution: by Dave in Kentucky – more info at onsug.com. Released February 2019 on The Overnightscape Underground (onsug.com), an Internet talk radio channel. You are currently browsing the The Overnightscape Underground weblog archives for the day Friday, February 8th, 2019.